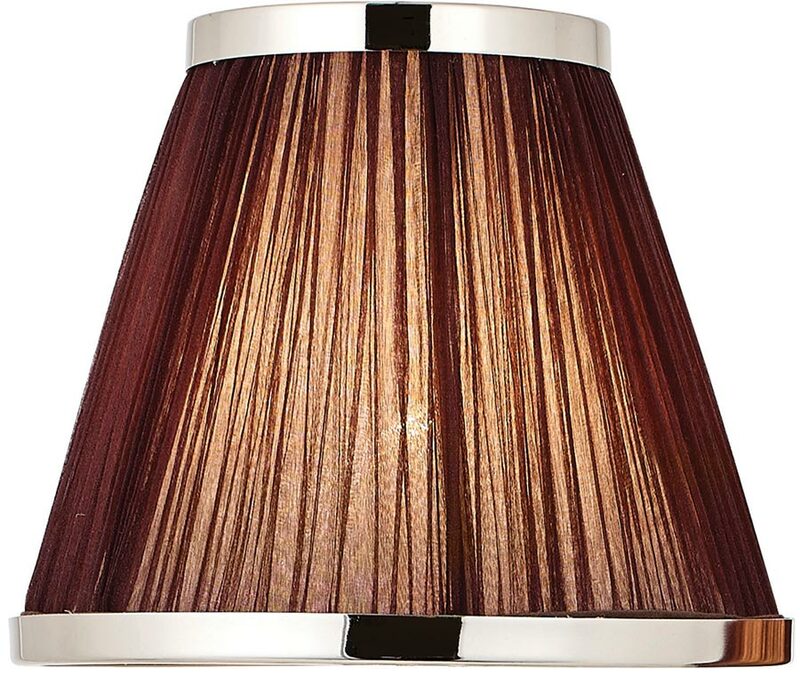 The Suffolk chocolate faux silk 8-inch lamp shade with polished nickel frame is suitable for small table lamps. Height 15.5 cm, base diameter 19 cm, top diameter 10 cm. Maximum 60w lamp. The Suffolk chocolate faux silk 8-inch lamp shade with polished nickel frame from Interiors 1900.